HOLDEN TORANA STEERING COUPLING. HOLDEN TORANA all years where square type coupling is fitted. A New Flexible Steering Coupling To Suit. They also allow for greater articulation on the front end. 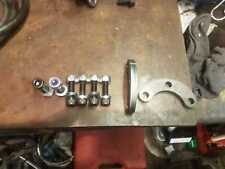 TOP BALL JOINT SPACER 10MM. 6 M10 HT BOLTS. PU-Stabilager für die mittige Befestigung des Stabilisators an der Vorderachse bei Pontiac GTO (04-05), Holden/Vauxhall Monaro. und Isuzu DMAX II. For Holden Commodore Tenth generation 1997-2007. For Holden Commodore VT / VT II Sedan Wagon 1997-2009. For Holden Stetesaman Caprice WH Sedan 1999-2006. For Holden VX Commodore Berlina Calais Sedan Wagon 2000-2001. 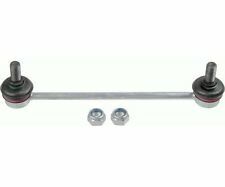 Powerflex Black Rear Beam Mounting Bushes for: Holden Cascada (2015 - 2017). 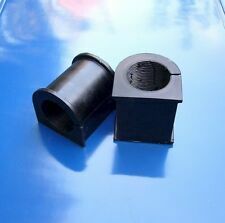 Unlike old technology Poly bushes any increase in vibration / harshness felt through the vehicle is normally undetectable. SuperPro is an advanced Australian manufacturer of automotive polyurethane suspension bushings and parts based in Brisbane, Queensland. 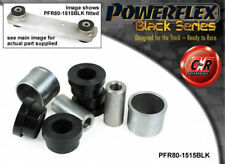 Suspension Bushings (SuperPro). Why Choose SuperPro Polyurethane?. 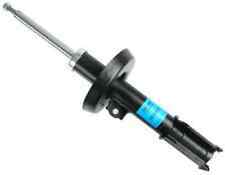 Designed to give optimum drop link angle for increased steering response. Fully adjustable /- 15mm. 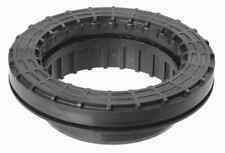 Supplied with uprated hardened cap head bolts, washers and nylock nuts. For Holden Commodore VT / VT II Sedan Wagon 1997-2009. For Holden Commodore Tenth generation 1997-2007. For Holden VX Commodore Berlina Calais Sedan Wagon 2000-2001. For Holden VZ Commodore Sedan Wagon 2003-2012. HOLDEN TORANA. HB AND LC - 4 CYLINDER. For VY VZ，modification will be needed on the sway bar link. 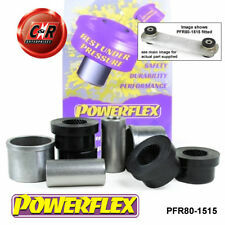 For Holden VY Commodore Sedan Wagon 2002-2012. For Holden VY II Commodore Sedan Wagon 2003-2010. For Holden Commodore VT / VT II Sedan Wagon 1997-2009. Ajuste de la barra estabilizadora: 4 Puntos. -Arbustos clasificados arriba poliuretano incluidos en el kit. Especificaciones del kit Altura: 9cm / 4 ". Ancho: 50cm / 20 ". Largo: 107cm/42 ". Peso: 9.3 kg / lbs 20.503. VS VT VX VY VZ VE HSV / Holden Commodore V6 & V8. 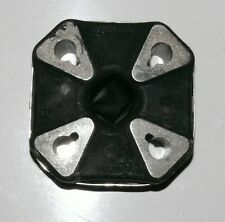 • Polierte Proflow Billet Aluminiumkappe. Direkte Fit für alle VS-VE Commodore. • Aus voll TIG-geschweißt aus Aluminium gebaut.